Our fully qualified and experienced operators can advise on the best crane suitable to your needs. Our specialist Crane Operations Co-ordinator Greg Buchanan,is available to visit your site to evaluate any risk and discuss with you the best approach to any job. Buchanan Crane Hire is a member of the Crane Industry Council Of Australia & is committed to the highest level of service in the industry, safe work practices and sound competency standards. Established in 1980 our family based business based centrally on the Mornington Peninsula has had 30years experience in the industry. From large and small jobs, long term or short term, we have the reliable machinery required for the safe, effective completion of your construction work. Reliable and efficient, our mobile cranes have high manoeuvrability in tight access areas. Over the years we have earned a reputation for excellence. Please give our crane professionals a call. As the sun set over the Ronstan International Head Office facility here in sunny Melbourne last night, the last of the Bolte Bridge Safety Screens was loaded into a Lendlease stillage and shipped off for installation. Just an extra note of thanks to you, Matt and James on your efforts. We really appreciated your professionalism and willingness to cater to all our requirements. Between us all we achieved a great deal." Stephen Casey, Technical & Commercial Manager - Ceramet Pty. 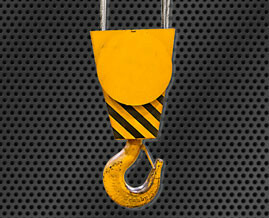 Ltd.
Read the article about us that appeared in the July edition of Cranes and Lifting Magazine.